Taking from the huge success of the previous years tours, we have the Craic formula down for 2013. This year we are going deep into into the West. 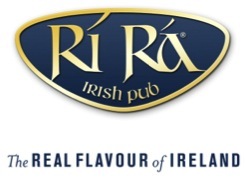 This unique tour was put together exclusively for RiRa and its loyal customers. The West of Ireland has so much to offer; a wild, rugged and spectacular coastline, a landscape that offers as much variety, as it does excitement. Going off the beaten track is what its all about, stopping in rural towns and villages, meeting the friendly locals and enjoying a pint or two in some of Irelands finest pubs. This is what experiencing the Emerald Isle is all about. This tours sells out early every year, don’t be one of the many disappointed.. Depart Boston on EI134 at 7:15pm and board your transatlantic flight. My only suggestion is REST UP. Tomorrow is going to be a busy day. Arrive Shannon: We arrive at 6am and prepare for one of the best days of the tour. We head towards Connemara National Park and into the heart of rural Ireland. This region is often considered one of the emeralds of isle itself. With the ever changing scenery; craggy mountain peaks, pristine lakes, expansive sandy beaches and the dramatic coastal landscapes, have all inspired great artists and literary figures over the years. We will get into our accommodation early enough to relax and take in this stunning location and this amazing property, one of Irelands best kept secrets and welcoming to remember. This evening we are including a welcome dinner into the package price, and enjoy the entertainment at the hotel. After a solid nights sleep, we head off and start the day by exploring the West. This area has so much to offer and the drive itself will leave you breathless. As we pass through Dhulough Pass, a stretch of road that tells a story of those dark days in Famine ravaged Ireland, with Croagh Patrick in our sights, you will begin to understand why Ireland get its mythical and mystical reputation. This is the sight where St Patrick is said to have fasted for 40 days and banished the snakes from Ireland. This takes us into the narrow Georgian colorful streets of Westport and its many fantastic pubs. Todays drive will bring us past some small villages and towns, along with some nerve wreaking country roads, on up through Killala Bay, onto Easky and we will finish up in the vibrant town of Sligo in time to explore the principle sights of this vibrant city on the banks of the Garavogue river. In the evening the group will meet and enjoy some “Craic agus Ceol” (music) and enjoy some of Sligo’s great pubs. Time to head back down the the epicenter of Craic. Galway City will be the place to be for this happening weekend, as the Guinness Oyster Festival kicks into action. We will arrive in the early afternoon to enjoy time around the city and to explore the sights, including the Spanish Arch and city walls.The streets of Galway come alive after dark, especially around the Latin Quarter, this region has become known as the entertainment capital of Ireland. Option 1: Today we will head into the heart of the country, stopping at Clonmacnoise which tells a fascinating story, beginning in the mid 500‘s. The monastery came under attack over 40 times, by the Vikings, Normans and the Irish themselves. From there, we get into some small distilleries for tours and tasting. You may have heard of Tullamore or Killbegan Whiskey’s, well today you get to say you experienced the very places they were born. The road home will bring us through some great villages and country pubs. Option 2: Another full day for you to explore this region. Or to just kick back and take it nice and easy before the return home. You also have the option to take a tour to the Connemara region or to the Burren and Cliffs of Moher. After an action packed few days we will make our way to Shannon, allow plenty time to clear customs and shop for those last minute gifts. Many can say that they have visited Ireland, very few can say that they experienced such an immersion into the Irish culture, the people and the Craic, as those that have been fortunate enough to have joined us over the past few years. This tour is like no other you will experience. Get your booking forms in today. Evening meal on night of arrival and breakfast on first two mornings. Travel Insurance is NOT included package price, but it is highly recommended and will protect you from those unexpected misfortunes, a policy that will cover unexpected medical needs, baggage loss/ delay, trip cancellation and Interruption. Pre-existing conditions are often included if taken out at time of deposit. For only $70.00 per person, you have to ask can you afford to be without it.